The point is, you don’t need a full recording studio to put out a quick session to your fans (although that would be lovely) but exercising just a bit of sonic sanity can go a long way. For more on this topic go to my article on A Plea for Sonic Sanity for Artists on YouTube. Janelle True’s gearing up to put out a new album. You may recall I reviewed her debut album, Swept Away, which introduced us to her vocal and song writing talent. Now she’s posted “Catch Me” both as a teaser for her unnamed album coming this winter and as an entry into a Guitar Center’s Singer Songwriter contest. “Catch Me” is a poignant song about that nascent time where a relationship is a turning point. It is at that scary edge where you admit to yourself that you care and you don’t know yet if that love is requited: “Well all that I know is I fell more than I show and I cling to false hopes like I’m tethered. …be kind, don’t show more than you feel. What if you don’t catch me.” I love the way her voice follows her hopes and fears – it climbs as she sings about fantasizing about the relationship and falls when she worries he might not catch her. I also love her line about the cost of transparency. We must risk revealing our true hearts to win true love. (Of course guys, that’s for you to step up and bare your soul.) I’m pleasantly surprised by the overall acoustic tone of the video given that it’s recorded in a relatively, sonically, bright room with lot’s of reflective surfaces on which sound waves can bounce. It sounds quite good. So best wishes to Janelle for the contest. The debut album is available on Amazon, iTunes and cdbaby; for more information: www.janelletrue.com Her videos are at Janelle True’s YouTube Channel. 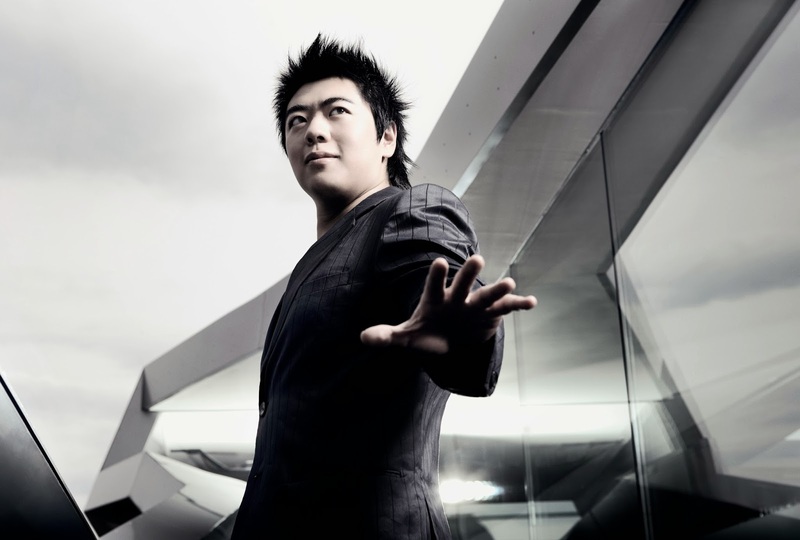 Lang Lang, one of the hottest young stars of the classical world, has incredible facility with the piano. He does everything from playing at a White House Gala to opening the 2014 Asian Games in Incheon, South Korea with Psy (yes, of Gangnam Style fame) and being the UN Messenger of Peace. He’s a busy guy. It is startling to see the ease with which he extemporaneously plays starkly different pieces, as he does in this video on how he checks out a new piano (care of The Daily Telegraph). Not many can chat and play Schumann or Bach at the same time. So it’s exciting to see him turn his attention to some of Mozart’s Piano Concertos and Sonatas. Mr. Lang’s creates accurate, emotive and confident music on this album that portrays Mozart well but ultimately falls shy of inspirational. I do recommend listening to both of the concertos as well as the Rondo known as The Turkish March which requires the serious technical adroitness he displays so well. 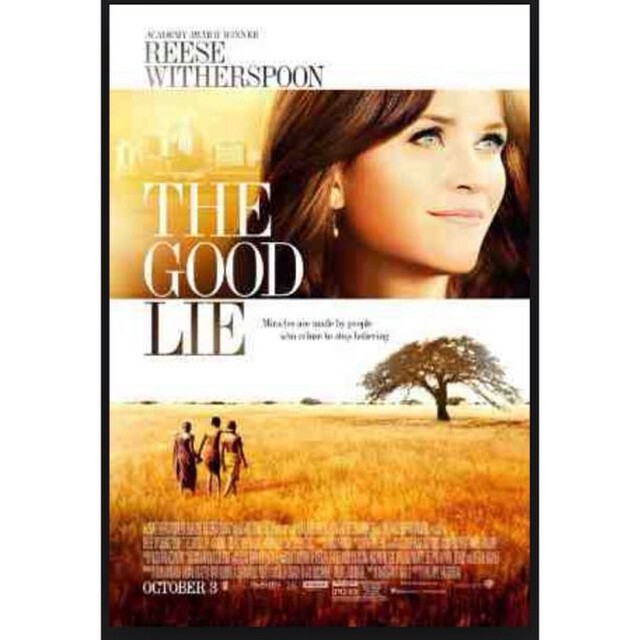 The Good Lie Movie Review – A Film about Beauty in the Midst of Pain, Wholeness Among the Ravaged. The Good Lie is a story about family living in Sudan in the midst of war, people ripped out of the family, torn from one another and a journey to make them whole. It is also a story about sacrificial love, reaching out past ourselves and faith. It is not an easy journey and their are no pots of gold at the end of the rainbow. There is, however, integrity, relationship, and hope. These will do for now. After losing the adults of their village, some children leave to find a safe haven. There are few in that part of the world. Their travels are long, fraught with many dangers, toils, and snares and finally result in a stay at a refugee camp in Kenya. Three brothers and their sister are finally able to go to America and start again. While this is not a documentary, it’s also not a typical Hollywood film. First, the actors portraying the main characters of the movie are from Sudan, two of whom were made into child soldiers. They have authentic background for those whom they portray. Second, while the trailer suggests otherwise, this isn’t primarily about their relationship with Reese Witherspoon’s character, Carrie Davis, or even about adjusting to American culture. It’s primarily about the “Lost Boys (and girls) of Sudan,” as it should be. It’s their story and the movie places them squarely in the middle of it. There are even movements where, if it were Hollywood (and certainly if it were Disney), someone would save the day from making a decision on only difficult options. So I would say to the folks who say that the film is water-down for Hollywood that they can, of course, watch a documentary – may I recommend The Lost Boys of Sudan. Moreover, wallowing in the misery and pain would not make the story any more authentic; we’re in the theater for a couple of hours watching a film. At most, we would be made uncomfortable in the horrific nature of the war. We have plenty from the film to sense that – drinking urine, soldiers mowing down children with machine guns and a cold shoulder for help. No, I think they played it right. The main characters, Mamere, Jeremiah, Paul and Abital, display a genuineness that is so starkly different from the jadedness of our culture that they are frequently not taken seriously. Their care for each other is refreshing as is the authentic faith they display. There is no health-and-wealth gospel nor is there fitting into a mega-church. There is a Bible carried for hundreds of miles, prayer in the midst of death at the refugee camp and clinging to hope in their God when all external reasons for hope are long gone. Uniting the family is one of their primary aims. Now, of course, there are the comedic moments of adjusting to American culture and the presumption of that everyone knows the basics of modern culture. My favorite adjustment is the photograph of Abital stuck on the phone – a low-tech Skype. However, the focus is on remaining who they are and on being whole. Bringing everyone together. The relationships, even when difficult, between Theo, Mamere, Jeremiah, Paul and Abital, both young and old. The genuineness of their faith. The fact that so many Americans stepped up and opened their lives to those displaced. Their integrity and lack of guile. The displacement in the first place and what they had to go through. It’s a marvelous film and I cannot recommend it enough. The soundtrack is seriously cool as well. If this were full-on Hollywood, no one would die on the road, Carrie would have been the hero and the focus rather than the family themselves and Carrie would have been on a plane and “saved the day” for Mamere to be back in America with Theo et. al. That Theo sacrifices his freedom for his brother and to serve in the hospital in the refugee camp is simply outstanding. I am halfway there! Isn’t that amazing? I think it’s amazing…then again I’m the one trying to detox myself from buying books. You might also think it’s amazing. Then again, you might also think I never should’ve been buying that many books to begin with. And you’d be right. UPDATE – I am no longer posting to FDRMX, AKA MusicSnake, AKA ppcorn (US). Existing posts remain, but (the rare) new music reviews will be done on this site. Heraclitus’ famous phrase was not an ancient Greek understanding of Quantum Physics but rather a statement that all things change. So too for this blog. Music posts are moving to FDRMX, about which more below. All other types of posts will remain right here. Due to some projects, however, I will take a week’s hiatus from posting. Starting on October 21st, look to my typical Tuesday and Thursday posts (with the occasional post thrown in between). I’ve been active on this blog for a year and half with a focus on books, music and movies with some technology and culture posts from time to time. I will continue to blog here about all of that except music (with rare exceptions). I’ve joined the great team over at FDRMX and will writing about music on FDMRX, which focuses exclusively on music. So for those of you who have followed my blog for the music posts, thanks. I hope some have been helpful. If you’re interested, you can still follow my posts on FDMRX here. In fact, I have five posts there now on everything from a review of Joshua Bell’s Bach to a review of “You and Me”, the first song from Pink and City and Colours’ collaboration as You+Me. I still write on topics I pick, still call ’em as I see ’em and still provide examples and evidence for all the points I make. It’s not just reviews I’ll be writing either; there are some general music blog posts. For example, I wrote one on the benefits of subscribing to a music service as well as on the need (or lack thereof) of violinist Joshua Bell’s to redeem himself after being ignore playing Bach in a subway. So, it’s still me on music, maybe just taking it up a notch. While there, you’ll want to check out some of the other writers. There’s an amazing amount of cool content for all things music. Remember, posts about books, movies and technology will continue right here; there will still be posts, usually on Tuesdays & Thursdays with occasional posts between. It’s a very amicable split with myself allowing each part of me to focus more. 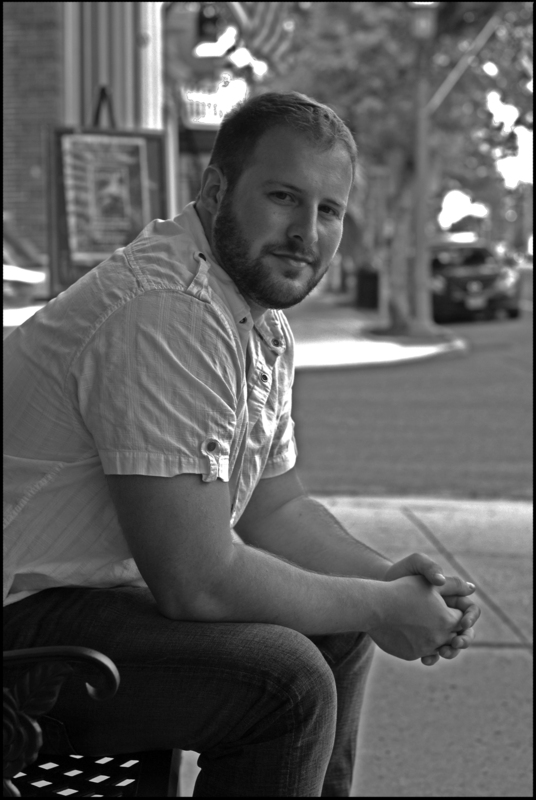 Rhett Bruno’s debut novel, The Circuit: Executor Rising, creates an intriguing world in which a post-earth universe revolves around an economy of Gravitum, a dangerous but powerful element that allows us to survive low gravity over the long term. The Tribunal pretty much runs the universe while the Circuit, and its keepers, provide a neutral conduit through which people and commerce flow: “The Circuit weaves together all of humanity.” Mr. Bruno has a lot going on in his novel. Political machinations of the Ceresian Pact and other “fringe” settlements, a strange religion with Earth Whisperers who are waiting for a reborn Earth to welcome mankind back after he decimated the planet, an apparent rebel, Cassius (this time, there may be no Brutus), with his über talented android ADIM (clearly with pun intended) and an Executor, Sage, thrust in the middle of it all. And yes, there are even more subplots. Mr. Bruno does an amazing job with the plot, keeping all of this vast universe together in a way that makes sense. His pacing in the storyline is spot on. The character side of the book is a bit more mixed for me. Sage is a delightful character who has conflicted thinking about the various sides of the intermingled conflicts, richly complex emotions she’s just learning to manage after suppressing them for her missions and is about as caring as an assassin can be. Those who make up the Tribunal and their official apparatus of Hands and Executors are one sided bad guys (with the exception of Sage). A little murkiness is thrown in where, periodically, they seem to be true believers but it’s clear they realize their actions are directed towards their own gain. The murkiness may simply be that they have given the party line so often, they’ve begun to delude themselves and start believing it. What did I love about The Circuit? Its robust world with an incredibly rich set of challenges, politics and people. First rate plot with great pacing of the narrative. What was I less fond of regarding The Circuit? Some of the phrasing, especially Cassius’s speeches and some of his dialog. The Tribunal and their minions were pretty narrow, one-sided characters. Overall, I enjoyed The Circuit, it’s even likely that I’ll read the next book in the series However, for my tastes, the lack of a compelling protagonist and the mixed phrasing are enough keep what could be a great book as a good one. I’m OK with anti-heroes. I love Han Solo (who doesn’t) and Malcolm Reynolds (again, who doesn’t) but I don’t see either of them stooping to blowing up a mining asteroid of non-combatants or killing everyone aboard a ship who were civilian by-standers, to accomplish their goals (other than in self-defense, ala the Death Star). Those are unacceptable actions of a hero, even an anti-hero. For me, the protagonist needs to be the good guy (unless I’m purposely reading about a bad guy ala James Luceno’s Darth Plagueis. The Tribunal are clearly laid out as the bad guys but there is no good guy, with the possible exception of Page, but that story is left incomplete). Now, you might say, “Joe, you’re fussing about the Tribunal being one-sided, but here’s this nice complex character with mixed motives trying to free the galaxy.” I’m all for some mixed motives or, better yet, mixed execution on the right motives. 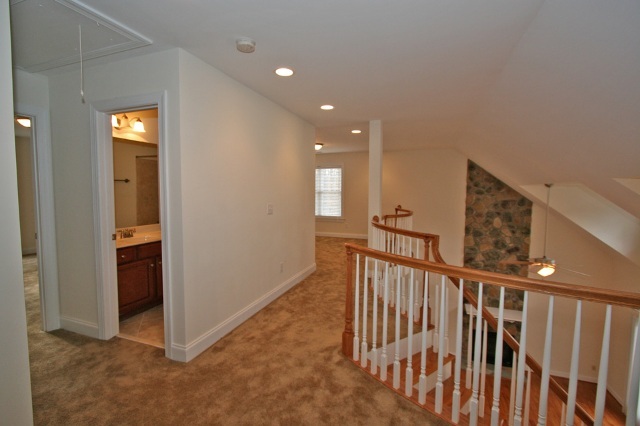 Even failing to live up to one’s own standard can be compelling. That’s fine, but Cassius is mainly about revenge and a little about freedom and the ends do not justify the means. He needs to find another way. Because of this lack of moral standard, I do not empathize with him. For me, it’s critical that I empathize with the protagonist. Otherwise, I’m less invested in the story. For example, if Cassius were to die, I would be OK. When it appeared Gandalf died, I threw the book across the room, mentally screamed at Tolkien “How could you?! ?” and took about another half hour to calm down before picking the book up again. That’s connection. What does it mean to care about humanity but not people? This is the hubris of Cassius at its full. You don’t love humanity, you love how you think things should run. You will kill people, eviscerate planets and thrust the galaxy into chaos all in the name of not holding humanity back. Surely there is often a cost, often pain and death, to achieve freedom to pursue one’s calling. That ought to be a cost we willingly take on as the price of freedom, not one man’s dream to thrust it on us as he gets his “revenge” for his son’s death. A death, I might add, that the son came under whilst pursuing what he voluntarily wanted to do with the encouragement of the Tribune whose rescue they delayed in prevent Cassius immediate take off to rescue his son when that rescue would have endangered many other lives with little hope of success. Read The Circuit and decide for yourselves. The world created and the story of it, by themselves, is worth the read. 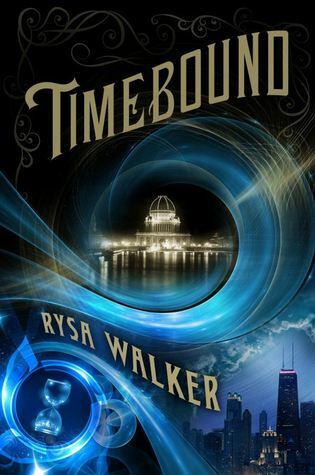 Nice, detailed review of Timebound, as one always finds on Bookish. It’s always intriguing when someone else is transparent about our addictions – this one is to books and Ms. Wheat is exercising some discipline on her addiction. It’s also amazing how, once we say no, the temptations seem to fly harder and faster. While I thought I would never encourage someone to avoid buying books – best wishes with this one Ms. Wheat. So, I decided October would be my month of buying no new books. In part I decided this because I need to budget for Christmas presents, and also because, well, I have too many books to read already. So far, not buying new books has sucked (is there some rush we get from buying books? Or is that just me? ), and it’s only the third day of the month. However, I thought it would be fun to start a blog “series” about all the books I want to buy but have to wait for.